Visual Lure recently launched a new custom WordPress website for Grazian & Volpe, a Chicago Illinois personal injury law firm that houses some of the best personal injury attorneys in the greater Chicagoland area. The site was a Goliath with over 300 pages. We also provided, and will be providing ongoing search engine optimization (SEO) services. 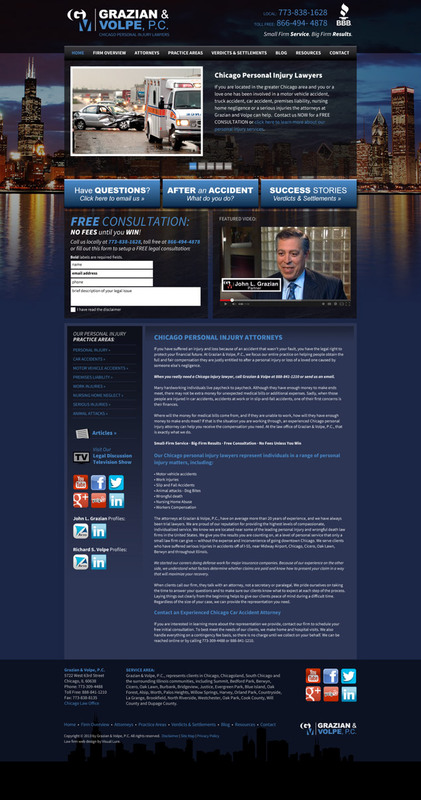 If you are an attorney or a lawyer, and you’re looking to have a law firm website built, contact us today. High ranking, search engine optimized law firm web design is one of our specialties.